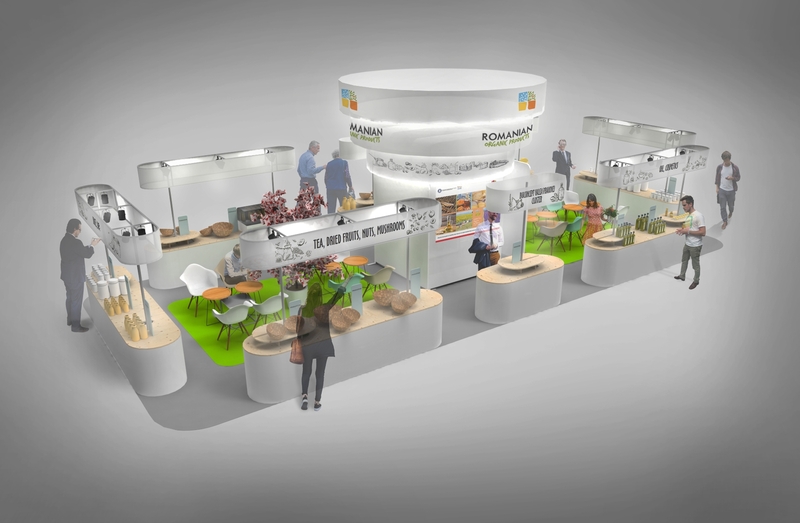 Putting 24 exhibitors together is no easy task, especially when the given space is only 84 sqm and there is a need for meeting and storage spaces. Nevertheless, after relentless planning and several design concepts, we decided to go minimalistic. 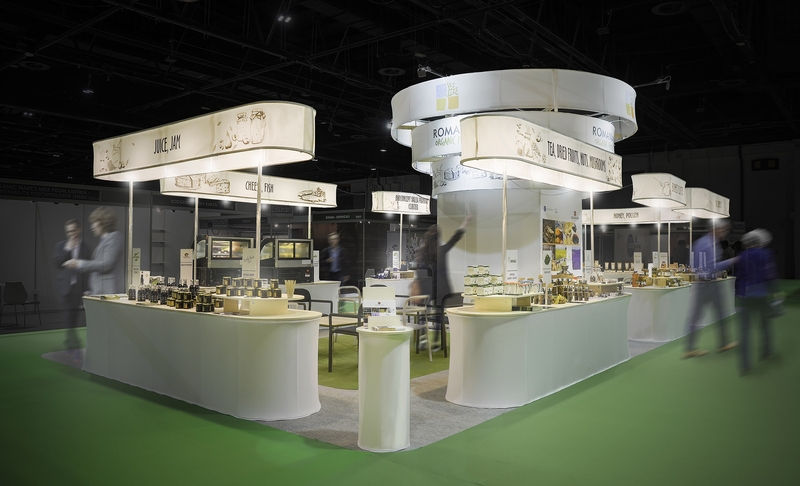 The work with the exhibitors and organisers paid off and our design team managed to deliver not only a functional concept but also one that literally sheds light on all the exhibitors and their food products provided they only present their most valuable products. 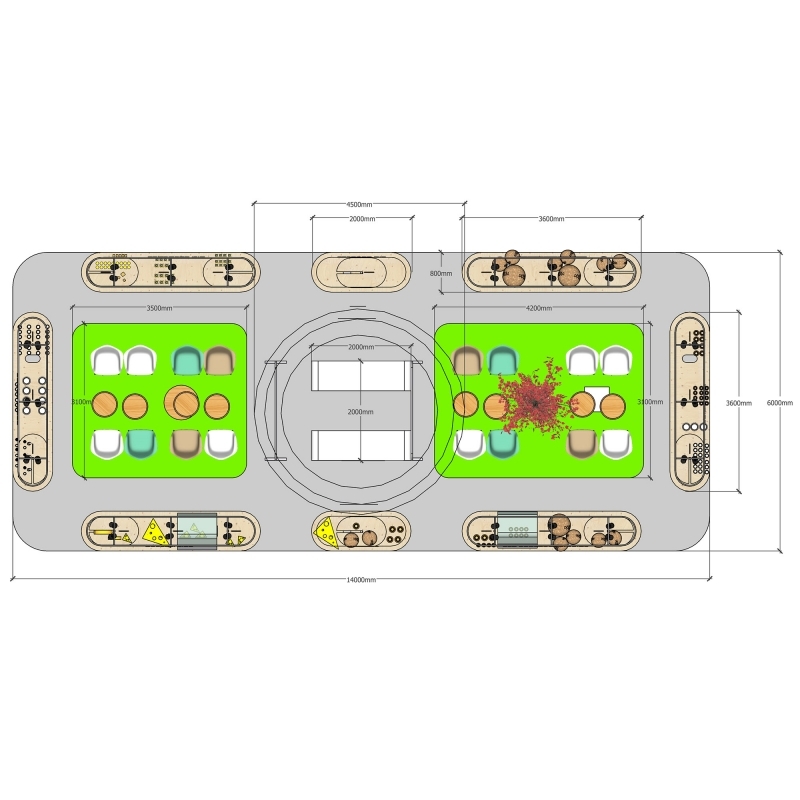 Meanwhile there is also enough space for 4 distinct meeting spaces. The entire booth is a white canvas for every participant. Even if there is a very clear unified image of the CAE program, every exhibitor can mould his / her own space to their specific needs and personalities. There is one very simple element that connects the entire booth visually, the overhead signalling. When visiting the Romanian booth, whether you are looking at the exhibition tables where there are lamp-like structures showing which products you can find, or the center of the booth that is marked by 3 concentric circles bathed in light, rising almost 5 meters above the ground, you always know where you are and can easily find what you are looking for.